This story returns to Randolph Carter, a character who shows up or is mentioend in other stories. In thsi story, years have passed since Carter "lost the key of the gate of dreams." He spends years trying to come to terms with this and accepting the commonness of everyday life, but it increasingly is challenging and he looks for ways to touch the world of wonder. He tries many things like traditional faith, travelling, and even embracing the present world, but nothing seems to stick. He returns to writing and though successful, he rejects his success as a writer as a sign of being common. As Carter becomes old, he slips further and further into recollecting on his past rather than deal with the dull present life. As he descends into his own dreams, he begins to recall family members who have been long dead and he dreams of his grandfather telling him of a silver key that had been passed down through the family but had not been open for centuries. Carter realizes that he will be able to get back to the world dreams if he can find the key. His dreams and contemplations continue to show him clues and eventually, he visits his family's ancestral home, believing he will find the key. When he arrives, he is greeted by Benijah, the servant of his uncle and over 100 years old. Benijah greets Randall as if he were still a boy. This disorients Carter, calling him back to his childhood and recalling more memories of things about the home. Benijah's spell leads Carter to go into the house, have dinner, and go to bed. But the next day, he wanders out into the surrounding land to a cave that he navigates through to find the silver key. He returns home shortly after this. The story breaks to explain that Carter's distant relatives speak of how Carter changed in his tenth year and became something of a prophet. They talk of his ability to say things that later on panned out to be true. They talk of such things because Carter has disappeared. His servant reports him last being seen when driving out to his old home after finding a key in the house. The narrator explains that people are interested in splitting up his estate because they believe Carter dead, but the narrator believes him to still be alive. He seems to know that Carter is in a different realm, a realm of dream. He also believes that he will be visiting Carter in a dream-city and hopes to see the silver key. I found the story a little hard to get into, but enjoyable in the reread. I forgot what had last happened to Carter so it was slow in getting into the story and the first half does wax and wane a bit without much meat. It feels like several pages of Carter rejecting the real world. However, the slipping back and forth into his own dreams, making it sometimes hard to determine if he is in dream or in the real world was more exciting and (pun intended) spell-binding. 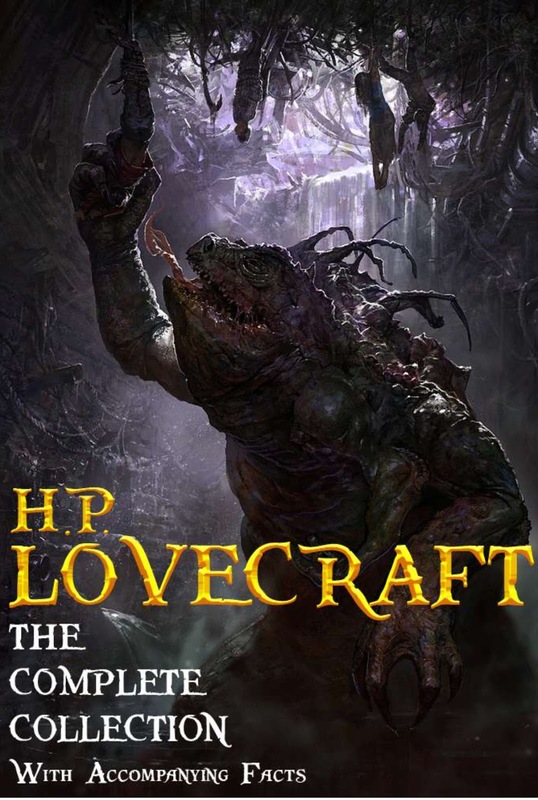 Seeing that so many characters appear and disappear in Lovecraft tales, I would love to see an infographic connecting all the different characters, gods, species, and places.